"You simpleton!" the officer barked. "Don't you know that by jumping and yelling the way you did, you could have endangered the lives of the entire company?" "Yes sir," the solder answered apologetically. "But, if I may say so, I did stand still when a flock of pigeons used me for target practice. 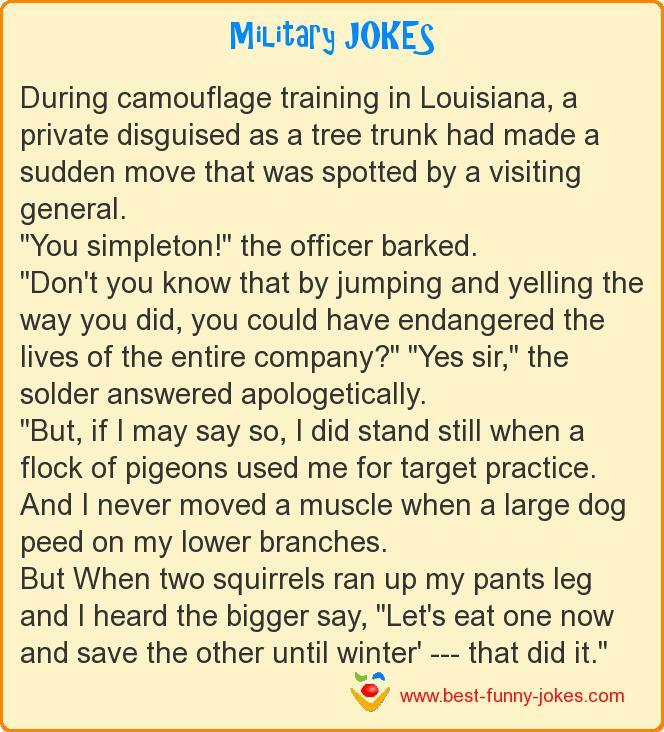 And I never moved a muscle when a large dog peed on my lower branches. But When two squirrels ran up my pants leg and I heard the bigger say, "Let's eat one now and save the other until winter' --- that did it."